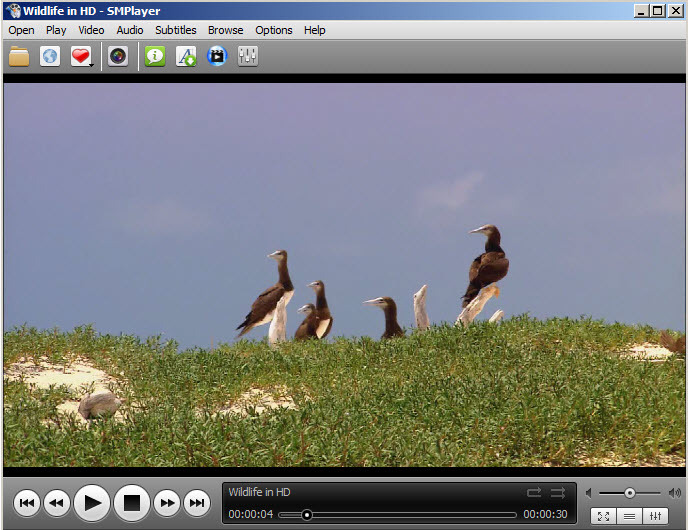 SMPlayer is a standalone video and audio player which supports a variety of formats. The best part is that you will not receive error messages such as "missing codecs" because the program includes all needed codecs to play all popular video files such as MP4, MKV, DIVX and so on. The program keeps the simplicity needed for the user interface, but through right click or top file menu you can access and change a lot of options to customize your player as you need. It supports drag&drop to quickly play. 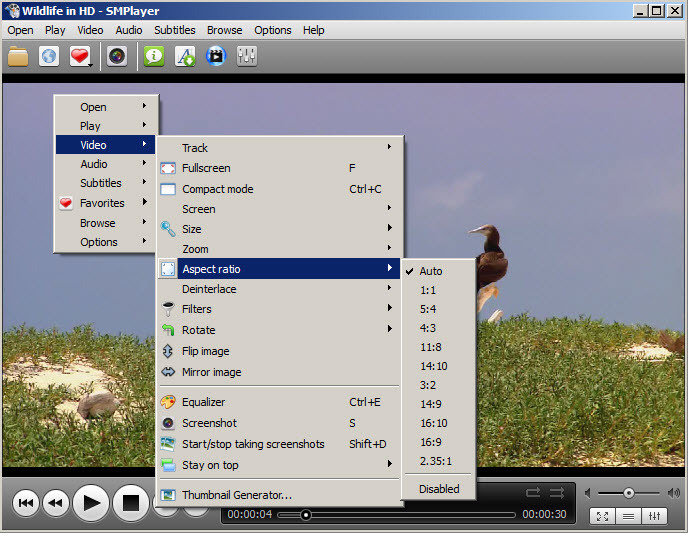 With a simple right click you can access useful options such as change aspect ratio (auto, 4:3, 16:9 ..), zoom, rotate, take screenshots from the video and even add filters. You can add subtitles from a file (.srt, .sub ..) or use an included online service to search subtitles for you. Also, you can play videos directly from web addresses. 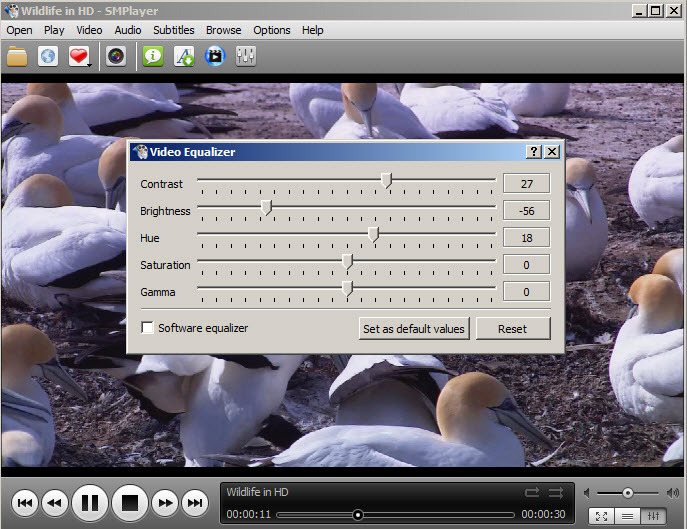 The toolbar is customizable and SMPlayer includes multiple skins to change the appearance of interface. Conclusion: This software comes with an user friendly interface and is very intuitive to use despite the large number of options and features. 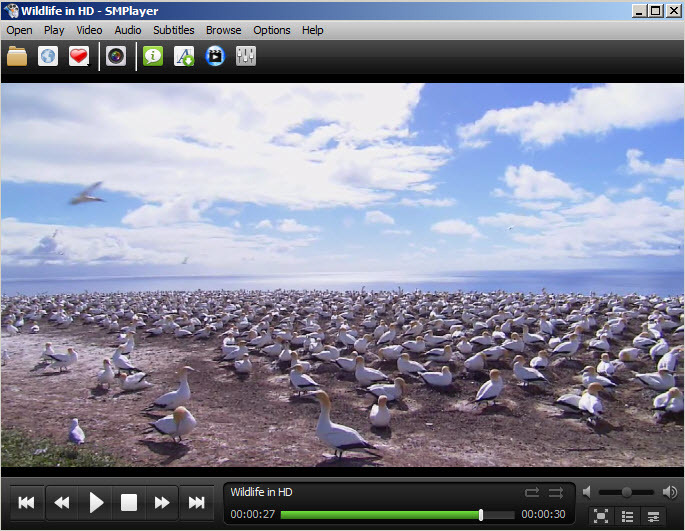 SMPlayer is available as free download for Windows 32-bit and 64-bit. 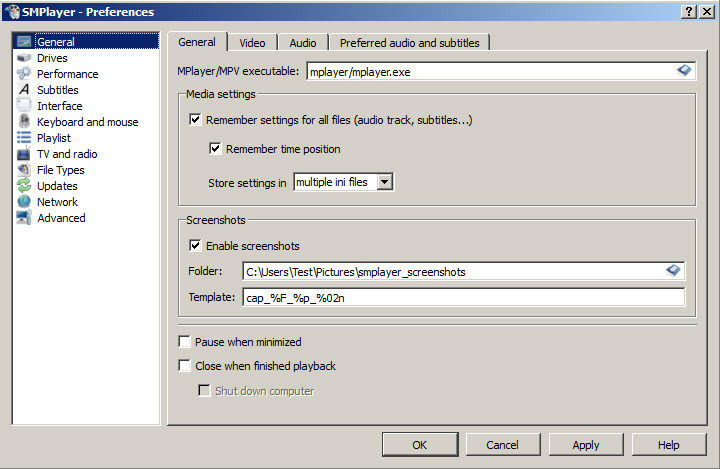 SMPlayer is 100% clean and safe to install. You can see the test results here.